Enjoy Florida living at Deep Creek Gardens, a condo community with the lowest monthly fee in the area. This fully furnished unit is located on GROUND level in building C, no stairs to contend with. New Windows. Storm shutters on every unit. Owners have taken great care of this unit and made many improvements. Easy living, short distance to the heated swimming pool, tennis courts, putting green and shuffleboard. 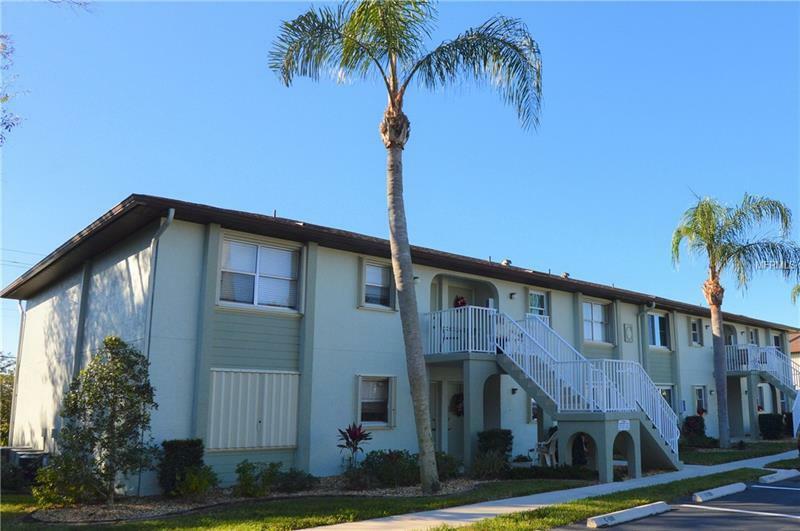 **Great seasonal rental investment opportunity**** Great location minutes to some of Floridaâs best GOLFING, DINING, SHOPPING, PARKS, PUBLIC BOAT RAMPS, MARINAS, BEACHES, I-75, the shopping mall, short drive to the Barrier Islands of Manasota Key and Boca Grande & 10 minutes to the Historic Riverfront Downtown Punta Gorda, Harborwalk & Fishermenâs Village. No age restrictions. Not in a flood zone and no CDD Tax. Available for occupancy NOW to enjoy for the winter. Priced to sell! Schedule a showing today. Pet Restrictions: Domestic pet only up to 35 lbs. Tenants may not have pets.